As CMO of Century 21 Beggins Enterprises and CEO of Strategic Innovations, Mike Puma leads the charge on digital marketing, branding, and strategic partnerships. C21 Beggins has become the 16th largest C21 Brokerage in the country out of 7600 offices. They are now the largest in the southeast U.S. with 10 locations and over 400 agents. Strategic Innovations owns several companies conducting business globally and consults for some of the top brands and personalities in the United States. With his global perspective and proven strategies, Mike is considered to be an expert in social media marketing and brand building. His career began at the age of 17, where he grew a brick and mortar sporting goods store into a multi-location franchise that was acquired by Play It Again Sports. Mike went on to hold executive roles with global brands such as Mattress Firm, Ideal Image, CBRE and Premier Laser Spa. In 2016 Mike co-founded Strategic Innovations which is the parent company to LulaKids Brand ( a baby and kids consumer products company), EasyDial International ( the world’s only Mobile # code technology platform), and MonsterCooler (a beverage cooler brand). Through Strategic Innovations Mike spends nearly $50,000 a month on Facebook ads and knows the platform inside and out. He now uses this knowledge and expertise to consult with major brands and personalities such as Kevin Harrington, and works daily with entrepreneurs, start-ups, and inventors to help them navigate the digital landscape. Mike’s brands and products are sold in retailers such as Walmart, Target, Toys R Us, Burlington, BuyBuyBaby, Walgreens, CVS and more. 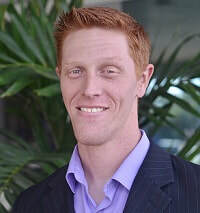 Mike holds a Bachelors in Business Marketing from the University of Tampa.